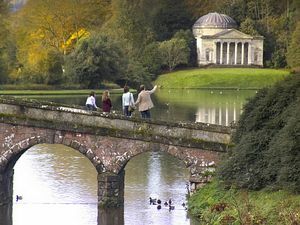 You do not have to travel as far as you might expect to see the Temple of Apollo and the Pantheon - Stourhead has miniature versions of both in its extensive National Trust maintained grounds. They are set around a mature lake in landscaped gardens designed by Henry Hoare II between 1741 and 1780. The secluded valley gardens boast a red brick folly, known as King Alfred's Tower, which can be climbed. At the top of the 205 steps are rewarding views of the Wiltshire countryside. Older by far than any of these fascinating monuments are the two Iron Age hill forts at Whitesheet Hill and Park Hill Camp. and adults but the castle-style gatehouse, grotto, Gothic ruins and Palladian bridge all add to the fascinating appeal. There is also an iconic Temple of Flora on the lakeside. The National Trust deserves an A+ for putting together a special children's pack to make this a great place for families. 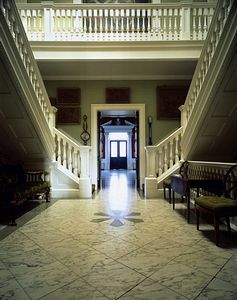 Stourhead House was built in 1721 in Palladian style to a design by Colen Campbell. The highlights of the house tour are the fine art collection and the furniture commissioned from an up-and-coming cabinet-maker, Thomas Chippendale! There is also a Regency library with a superb collection of books and a house full of fascinating family heirlooms. Spring is a particularly colourful time to visit Stourhead when the rhododendrons and azaleas are in full bloom. It is one of Henry Hoare's best examples of English landscape style although the "rhodos" were a later addition. bold red-flowering tulip tree. The woodlands, farmland and chalk downs are all managed with a keen eye towards nature conservation. Gardeners will enjoy the Pelargonium House which has re-established the collection of 60 varieties of these beautiful tender flowers. In the 19th century, the owner Richard Colt Hoare had a similar collection of pelargoniums. Throughout the year Stourhead puts on a variety of special events with open-air drama and musical performances, garden and estate tours, trails and family activities. Beyond the house and gardens, Stourhead has an excellent pub-restaurant at the gate, a gift shop and a farm shop selling fresh locally sourced produce. The restaurant uses meat from the award-winning tenant farmer on the estate and their organic produce comes straight from the walled garden. Unusual dishes such as Lamb and Apricot Pie help maintain the restaurant's excellent reputation for good food. 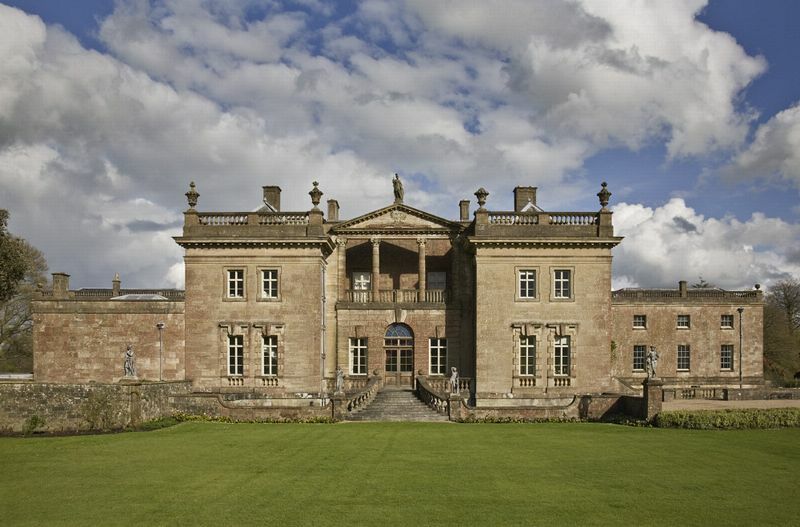 As you might expect, Stourhead is frequently used as the setting for historic dramas and films. You may recognise it from the 2005 film "Pride and Prejudice", among other productions. Wiltshire Cycle Way runs through estate View local cycle routes on the National Cycle Network website.